Beautiful Stepping Stone for your garden. 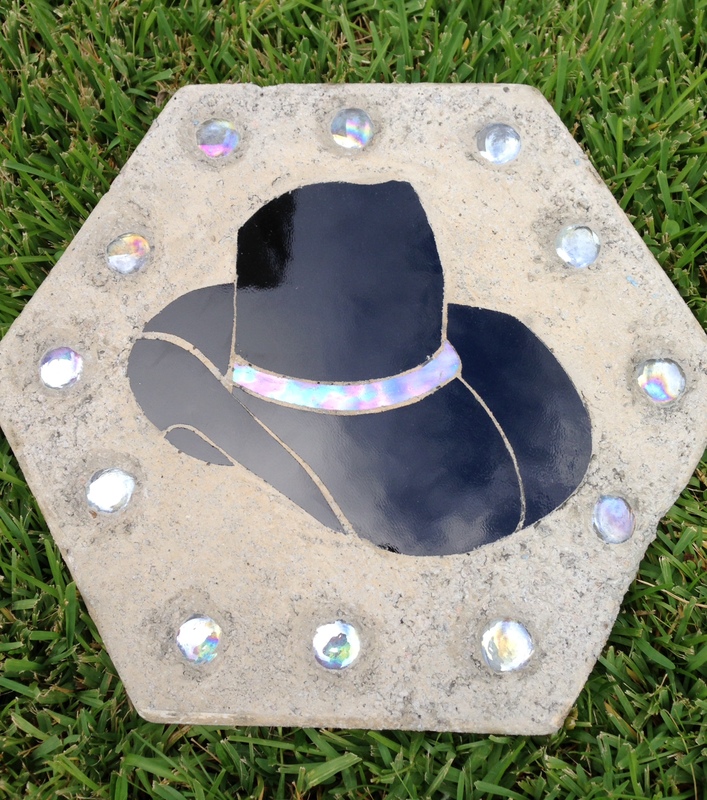 This stone is with a hat for that cowboy or girl in all of us. For more information please call (713) 899-0933! Dallas Cowboys Logo. Approximate size 25-1/2 x 23. Colors are hammered blue with grey, white and broque clear background. 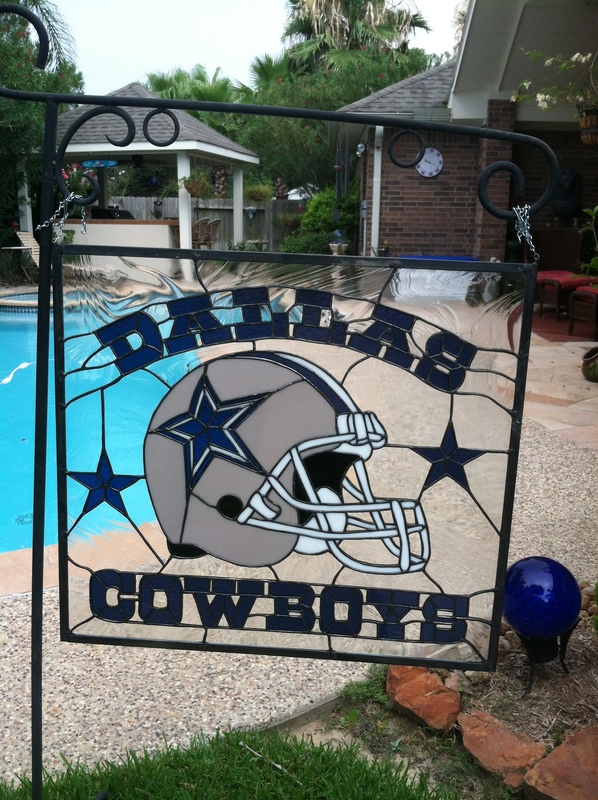 Great for the Cowboy fan! For more information please call me at (713) 899-0933. 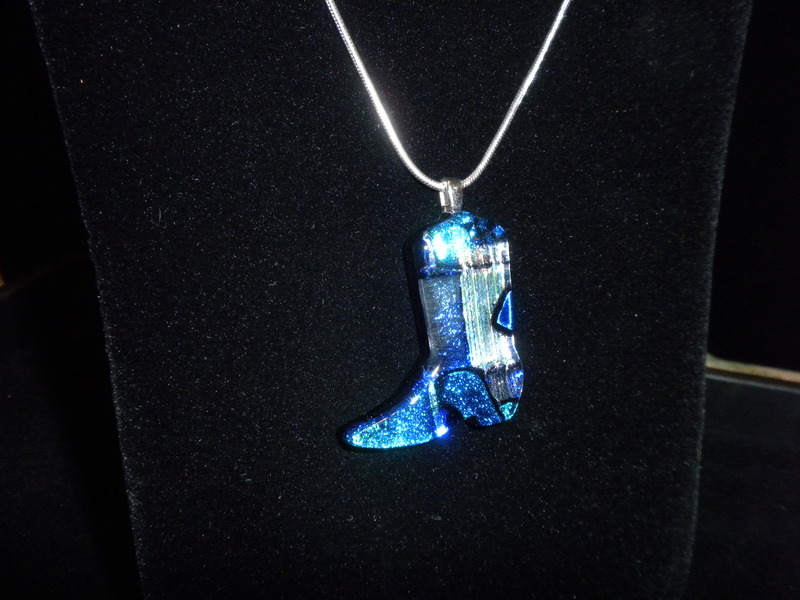 Beautiful Cowboy Boot Pendant made from stained glass and dicroic fused together! Comes on a 20″ silver plated necklace. Have different beautiful colors. Pictures don’t do it justice. They are beautiful. They sell for $32.95, comes in a beautiful box lined with satin. If you would like to see them please let me know at (713) 899-0933! !